MailEnable SMTP Integration | How to Integrate Pepipost With MailEnable? MailEnable and Pepipost Integration: Send emails via MailEnable using a third-party SMTP server such as Pepipost. 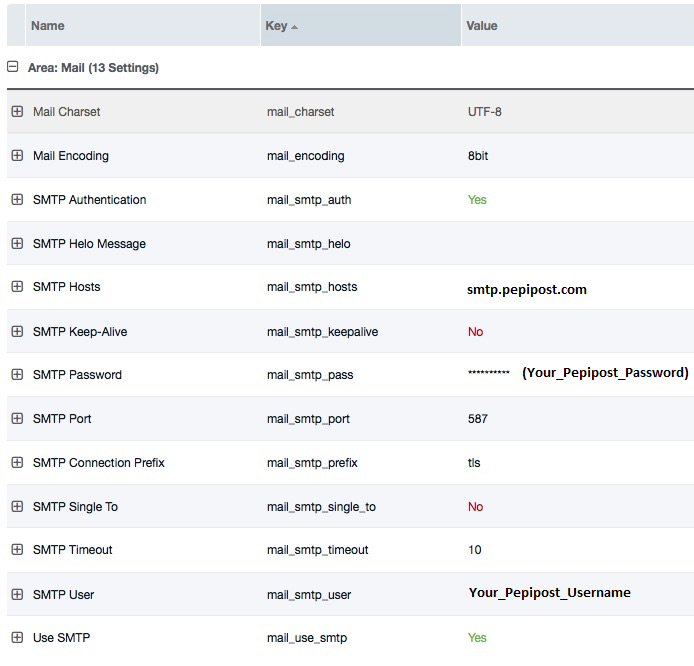 To use SMTP via MailEnable, you need to configure the settings in the MailEnable Servers tab. Once you are in the Servers tab, click on localhost > system and right click on SMTP. Make sure that Smart Host is enabled under the Smart Host Tab and the correct IP/Domain type for Pepipost has been entered. You need to also allow remote server authentication. Open the MailEnable Admin application. Once you are in the SMTP Properties box, click on the Smart Host tab. Check the box next to Smart Host Enabled. Under IP/Domain type: smtp.pepipost.com. In the Port field type: 25 or 587 or 2525 (depending upon which port is opened at your end). Enter your Pepipost username and password and click Apply.